Ember Sprinkler Guard is a fire protection system which can be mounted on any uneven or odd shaped surface of a roof without requiring any additional mounting apparatus. It can be easily mounted on the rails of the fence, or any uneven or odd shaped surface of a property, & can also be used as irrigation for garden and lawns, as well as cooling your roof. 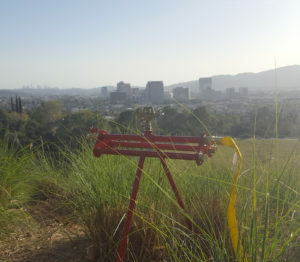 The elevation and the wildfire driven by winds without a fire break such as a huge field, creates immense danger to the area under wildfire attack. Due to these factors, any initiation of wildfire in the community would be caused by flying embers rather than direct flame spread. Wind-blown embers, which can travel one mile or more, are the biggest threat to homes. In all reports most homes are burned as a result of wind blown embers. Roof Condition: Homeowners should always have a Class A-rated, fire-resistant roof cover or assembly. Once a falling ember burns out the firebrand should not burn through to the roof deck and flames and spread to other parts of the roof. Without a fire-resistant roof, the protecting of your home will fall short. Placing Embers-guard rooftop sprinkler system increases your chances to defend your home from flying embers. Any wood structure connected to the house or close to the house, if combustible, will support flames or glowing embers to reach the roof and start a fire. By wetting the wood structures you will have a better chance to save your home. Homeowner should always view their property from all angles. Homes are burned in a wildfire due to numerous factors; homeowners must consider and establish a systematic defense and preparedness approach. 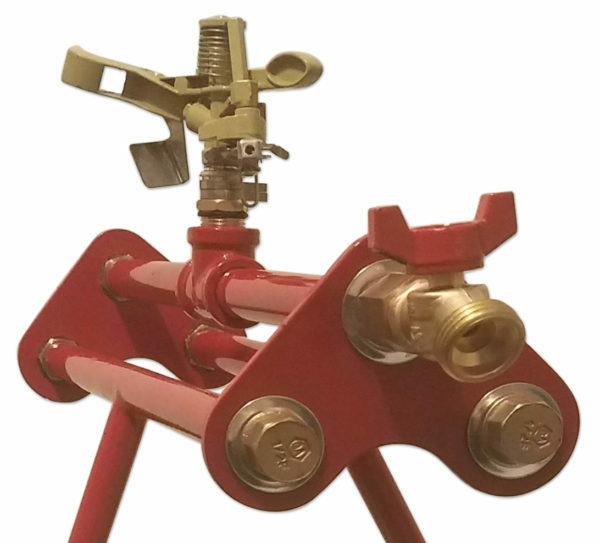 Embers-guard roof sprinkler system’s portability and capabilities becomes ONE LINK OF MANY IN THE "CHAIN OF WILDFIRE SURVIVAL"
You can shop with confidence at our secure online store and always expect fast shipping and courteous service. For International or local Distribution Opportunities & Wholesale Inquiries, please contact us and we'll get back to you as soon as we can. 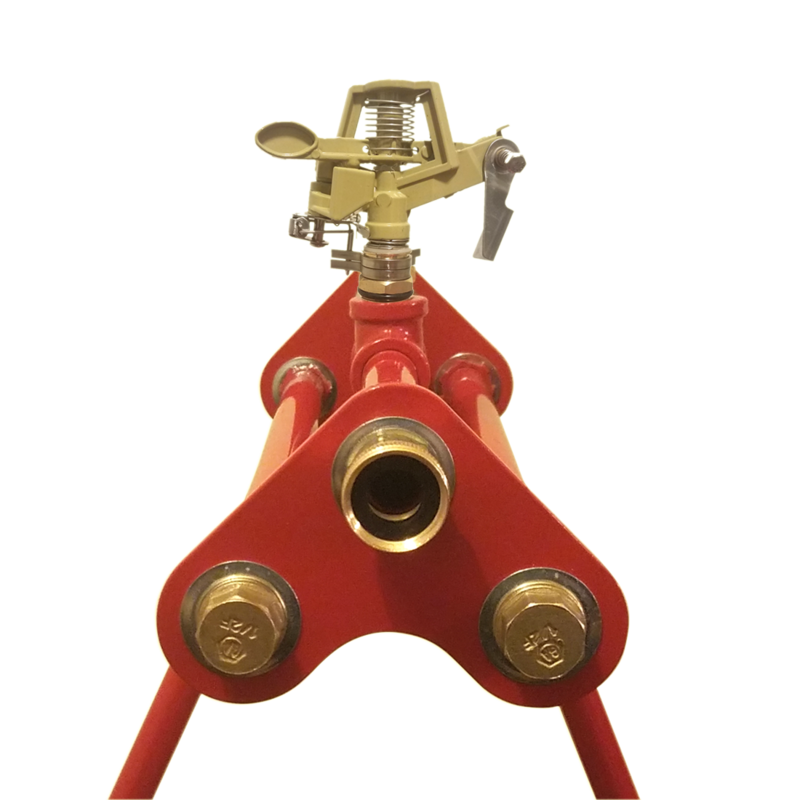 Disclaimer: Ember-S-Guard Sprinkler systems are a temporary fire suppression system, they are not designed to put out a fire, but help prevent ignition. Sprinklers need adequate pressure to operate properly. If the pressure is too low sprinkler systems will not operate correctly.